Three Ways Gap Inc. is Using Scale to Speed Up its Supply Chain | Gap Inc.
It’s no secret that speed in retail is now an essential ingredient to bring on-trend product to the global marketplace. To compete in today’s retail landscape, brands look to their supply chains to drive value by strategically using levers in flexibility and speed to respond to consumers. In traditional retail, the product-to-market cycle spanned more than half the year – from the point of purchase order, to factory production, to fulfilling product through distribution centers. Now, by deploying different levers, Gap Inc. brands are able to significantly cut down on lead times – with some as quick as eight weeks. Here are three ways Gap Inc. is using its scale to increase responsiveness and cut production times. Fabric platforming – a process that continues to gain momentum and see success – is defined as the use of a common fabric across multiple styles for multiple seasons. With fabric positioning, our sourcing teams partner with mills and vendors to position raw materials at various stages in the supply chain. This includes yarns, greige fabric (an unfinished fabric that hasn't been bleached or dyed), dyed fabric, and blank garments. The further up the supply chain we can position raw materials, the greater the flexibility to customize garments for the consumer. Meanwhile, we gain speed advantage by positioning raw materials further downstream in the supply chain. Need more Old Navy Rockstar denim that’s selling out across North America? Using platformed fabrics and positioned greige fabric, we can get the product re-stocked in stores in a matter of weeks. Currently, more than half of Gap Inc. product uses platformed fabric. Where there’s cotton, there’s a mill. 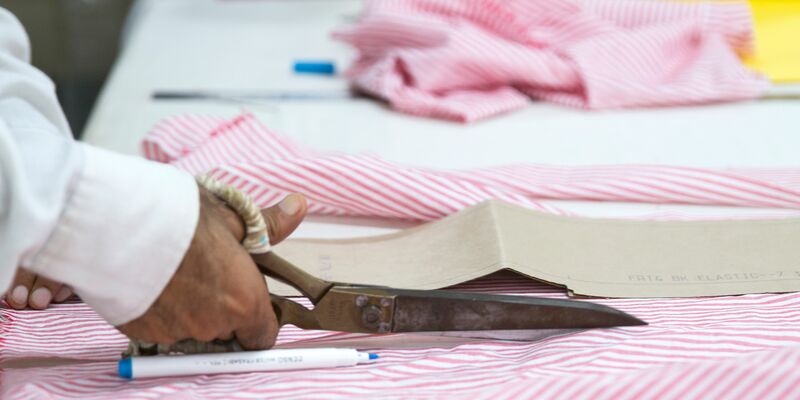 By working with vendors who cut and sew garments in the same country where raw materials are grown and processed – known as co-location – we reduce the transit time between mills and garment vendors. Similarly, proximate sourcing refers to the proximity between the manufacturing country and the final retail destination. Growing our partnerships with vendors in Central America, for example, can decrease the shipping time to North America. By the same token, doing more business with mills & vendors in Portugal and Turkey, it takes less time to ship product to consumers in Europe. By thoughtfully selecting countries of origin for each brand and product, we can optimize speed for our retail markets. Gap Inc. has strong partnerships with supply chain vendors and mills around the world. Turning business relationships into trusted strategic partnerships helps us to optimize cost, speed, quality, flexibility and innovation. With a diverse vendor base in multiple countries, these lasting partnerships allow Gap Inc. to make progress in our mission to quickly provide the latest trends to our customers, while positively impacting communities where we do business, strengthening programs like P.A.C.E. and the Better Cotton Initiative throughout our supply chain. It all adds up. The more Gap Inc. integrates responsive capabilities throughout the supply chain, the better we can engage and serve our customer and compete in the future of retail.